SpaceNews reports that commercial space station startup Orion Span raised only a portion of the $2 million it sought through the online investment website SeedInvest. 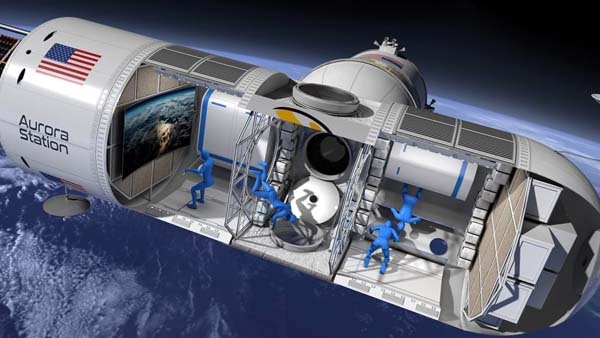 Orion Span plans to build a private station named Aurora in Earth orbit that would offer stays to tourists. Definely not well funded as Bigelow Aerospace is. So much for this private space station anyway. Certainly no rush there. Good on Joe Public for hanging back. This thing was pretty much the Mars One of LEO – people with no money or technical chops looking to make a big splash with Other People’s Money. As usual, though, you paint with far too broad a brush. I might be concerned about the staff. Tourists themselves would likely be aboard no more than a week. We’ve known since Gemini that you can do a week…and they couldn’t even ‘float about,’ unless an EVA was involved.